The small museum housed in the Visitor Centre is the only example of the Carnaby collection remaining in Western Australia and is the only place in Australia where any can be seen by the general public, as the remainder of the collection was relocated to CSIRO premises in Canberra after the death of Keith and is not available for public viewing. The scientific name of this family of beetles is Buprestidae. There are 12 families of Buprestidae in the world; 6 are represented in Australia and one, Stigmodera, is only found in Australia. There are about 350 species of Stigmodera and they range in size from less than 2mm up to nearly 7cm. Most Buprestidae in the Carnaby Collection are from Western Australia. Little research has been done since 1929 and new species are still being found. At least 100 Buprestidae in the entire Carnaby Collection are still unnamed. Stigmodera Castiarina carnabyi was only ever found near Jerramungup in 1970, and now all its habitat in the area has been destroyed through farming and road works. Very little is known about the family of Buprestidae. All are wood borers and spend anything from 7 to 17 years as larvae in the trunk and roots of host trees. When land is cleared these are burnt, together with the larvae. Melaleuca, Casuarina and Mallee are the usual trees of choice. As adults they have a short life span and after mating the females disperse to find suitable places to lay their eggs around the boles of trees. They need a fair bit of wood to keep them going for such a long time and the Carnaby’s said that they seldom found more than one larvae or beetle in an individual root. Keith Carnaby, an amateur entomologist, was the first baby boy to be born in Nedlands in 1910. Most of his childhood was spent roaming the bush around the Nedlands and Claremont area with his five brothers. By the time he was 12 he had quite a good collection of jewel beetles and had even made wooden boxes to put them in. It was this early experience with beetles that lead to a life long interest in the little creatures. At the tender age of four he was seconded to be a pupil at the new Nedlands School. This was to make up the minimum number of ten students required to open a new school. He left school at the age of thirteen and continued to live in the area working with his father and elder brother in the family boat building business. With the onset of the depression in 1928 the work in the boatshed diminished and he was forced to work on another brother’s farm at Lake Grace. It was here that his already impressive accumulation of jewel beetles grew into a large collection. He spent nearly six years in the Army (1940 – 1946) during WWII serving as a tank driver in the Battle of El Alemein and as a commando in Borneo. The next twenty two years were at Chidlows where he and his wife, Jean, raised their three children. During this time of hardship and long hours, his beloved beetles took a back seat because of work and family commitments. When Jean died, her long-time best-friend Edith Guy of Boyup Brook took on the role of caring for the family and so Keith became a Boyup Brook identity. Edith was widowed around the same time and in due course Keith and Edith were wed.
Old memories and enthusiasm were rekindled in the move to Boyup Brook and his retirement in 1968. This was partly due to Edith, who was also interested in entomology. It was from this dual passion that the dream of a book on the subject emerged. Together they travelled around Australia five times and criss-crossed Western Australia in every direction hunting the elusive Jewel Beetle, ever mindful of the delicate ecology of this wonderful country. Each time a new species or specimen was found it was tabulated, studied and photographed. Keith did the developing and printing himself to get the best correct colouring of the beetles. It is said that he had a natural gift for finding jewel beetles, constantly being aware of the climatic conditions in which they would hatch. In 1972, to house the now very extensive collection of insects, beetles and other species, a separate brick, climate controlled building was erected on the farm, with the help of his son-in-law Frank and other members of the family. Later a ’Carnaby Collection of Beetles and Butterflies’ was installed at the Tourist Centre in the town of Boyup Brook, WA, to lessen the ever increasing number of visitors to the family farm at Wilga. As one walks through the door of the room which houses the collection, on the left hand side are the real jewel beetles. The majority of these have been gathered in Western Australia. It is said that his collection is one of the most important in the world, second only to that at the British Museum of Natural History. Keith’s extensive knowledge and accumulation of specimens was respected by entomologists world-wide. 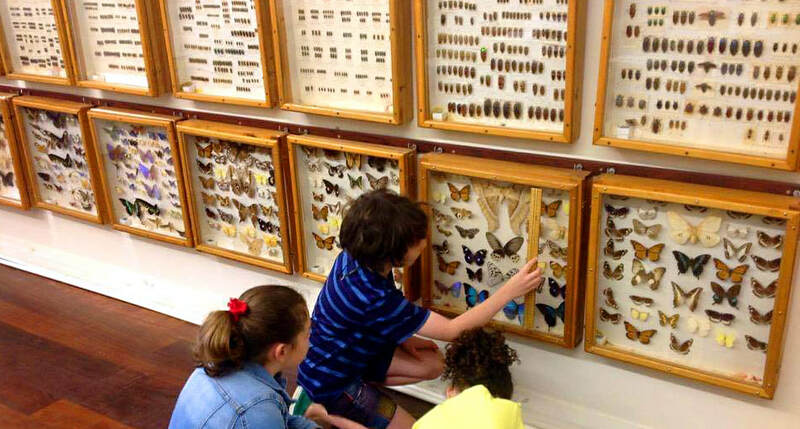 International Museums keenly sought the highly valued jewel beetles and Keith swapped many boxes for the colourful butterflies and moths also housed at the Tourist Centre. ​In 1980 Keith wrote a book - Jewel Beetles of Western Australia (Direct Colour Printers, Leederville, WA). He wrote this for amateur entomologists and schools so that they would be able to identify what they see in the bush. Of additional interest, Keith’s brother Ivan, was also a naturalist and the Carnaby Black Cockatoo, which is a threatened species, is named after him. This large black cockatoo (also known as the Short-billed Black-Cockatoo) has white tail panels, white cheek patches and a short bill. Carnaby's Black Cockatoo is endemic to southwest Western Australia, extending from the Murchison River to Esperance, and inland to Coroow, Kellerberrin and Lake Cronion. The Boyup Brook Tourism Association would like to thank Iain and Elizabeth Parker, for curating the Carnaby Collection.